Stefano Manfredi , along with special guest and leading Italian wine expert Michael Trembath, invite you to join their table at Bells at Killcare for Amazing Amarone – a dinner celebrating a unique Italian native wine. Steeped in a deep history, Amarone is made around the historical city of Verona. Michael and Stefano share a history of creating authentic Italian dining experiences and Michael, with his company Trembath and Taylor, was one of the first importers of quality new-wave Italian wines to Australia. 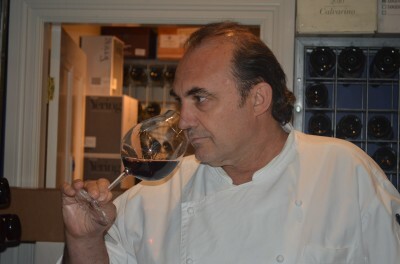 Manfredi has created a four-course menu inspired by Michael’s choice of four great character wines styles made from the area’s classic grape varieties. Guests will be greeted with Canella Prosecco on arrival served with a starter of salt cod and caper crostini and oysters. Quail and porcini risotto will follow served together with Speri 2011 Valpolicella. To follow, a main course of beef stracotto served with baked winter vegetables gratinata with black truffle and Bells garden lettuce salad will be paired with Speri 2011 Valpolicella Classico Superiore Ripasso. Next is something special. Two great Amarone, the current 2008 release and the 2000 museum release, which will be served alongside specially selected Italian regional cheese. The evening will conclude with Tartufo di Amedei Chocolate and the unique dessert wine, Speri 2008 Recioto. Manfredi at Bells Scuola Di Vino, its all about good food, good wine and good company.